We’re so proud that our film ‘Marjorie Prime’ was listed 4th of “the best films of the year” by distinguished men’s magazine Esquire. 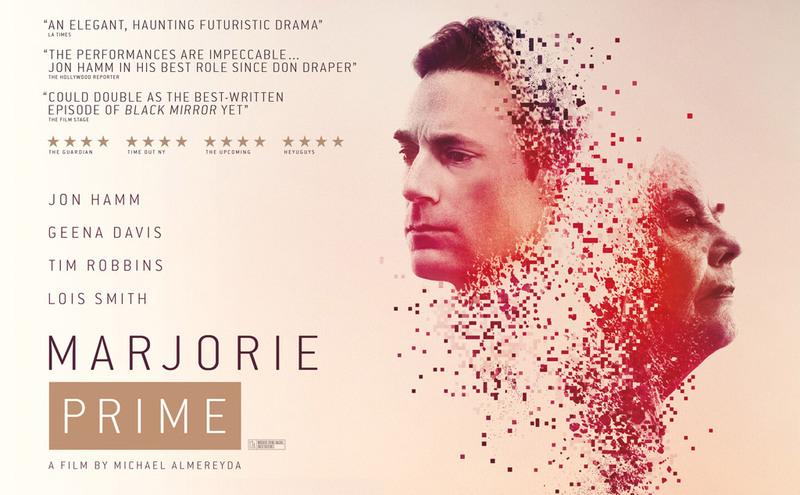 ‘Marjorie Prime’ is set in the near future, a time of artificial intelligence: where 86-year-old Marjorie (Lois Smith –‘ East Of Eden’) – a jumble of disparate, fading memories – has a handsome new companion (Jon Hamm – ‘Mad Men’) that looks exactly like her deceased husband Walter. This is a Prime, a holographic simulation programmed by Marjorie’s daughter (Geena Davis – ‘Thelma & Louise’) and her husband Jon (Tim Robbins – ‘The Shawshank Redemption’) to feed the story of her life back to her. But as their interactions develop it becomes clear that each of them has a very complex relationship with their shared histories, with each other, and with this new technology they’ve invited into their home. Based on Jordan Harrison’s Pulitzer-nominated play, ‘Marjorie Prime’ is an exquisite exploration of memory and identity featuring stellar performances from its all-star cast. It is now available to rent/buy on Amazon and iTunes.